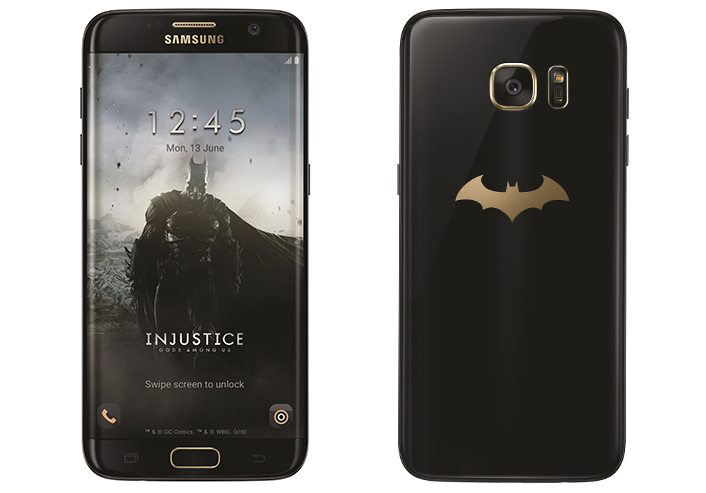 Samsung in collaboration with Warner Bros. Interactive Entertainment has launched its Batman inspired Samsung Galaxy S7 in North Korea on May 27. Now, it is probably going to be exciting news for people who are crazy fans of Justice: Gods Among Us. And, this particular demand became reason for the launch of Samsung’s Batman inspired limited edition. But unfortunately, its availability might be a little issue. The officials said that the device will be available in June in only selected areas including Latin America, Korea, Russia, China and Singapore. Furthermore, the company has plans to launch the device in a couple of more markets as well, but it’s not yet confirmed. But wait…. you know what the good news really is? “The device will come with a gear VR and a real gold-plated batarang”. This is what Younghee Lee, Samsung Electronics’ executive VP of global marketing said during the launch. “We are excited to partner with Warner Bros. Interactive Entertainment and offer a special edition of Galaxy S7 Edge for fans of Injustice: Gods Among Us. Samsung always seeks to provide the best mobile gaming experience for its users, and this partnership reinforces our commitment to the game’s fan.